This project is to enable individuals to request the inclusion of software / packages into the Solus repository. DataDrake merged T7887: NordVPN into T7528: NordVPN. DataDrake merged task T7887: NordVPN into T7528: NordVPN. livingsilver94 reopened T5874: JOSM as "Open". livingsilver94 added a revision to T5874: JOSM: D6090: Initial commit of josm. DataDrake closed T7886: xfce4-terminal as Wontfix. It's really not more lightweight than gnome-terminal. That's a myth post GTK2. They both use the same libvte and gtk3 libs and are within 4-10 MB of RAM of eachother for the same number of open tabs. botcoder added a comment to T7857: Ubuntu Budgie Extras - Applets. I just added those 3 applets to be build in the package.yml but i can add more if you want. loradona added a comment to T7857: Ubuntu Budgie Extras - Applets. Jacalz closed T7881: Request for steam-devices as Wontfix. 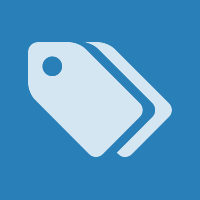 Girtablulu added a comment to T7881: Request for steam-devices. Jacalz added a comment to T7881: Request for steam-devices. erm that stuff is inside steam already or are they different ? Jacalz updated the task description for T7881: Request for steam-devices. Jacalz created T7881: Request for steam-devices. Christoph3 added a comment to T7857: Ubuntu Budgie Extras - Applets. You are talking about the 100% tarball. I'm only interested in quicknote which is vala , weathershow which is vala and kangaroo which is python but can me removed from the package.yml. Jacalz added a comment to T7857: Ubuntu Budgie Extras - Applets. JoshStrobl added a comment to T7857: Ubuntu Budgie Extras - Applets. I'm not really sure why people are concerned with them being Python or not. As stated by @kyrios123, budgie-desktop does not accept PRs for python-based applets. That does not mean third-party applets cannot be. That being said, I personally wouldn't add any that aren't actively developed and at least written in Python 3 if they're going to be Python instead of Vala or C. I'd like to see a list of what would be added before I accept them into the repo. Hi there, are you talking about the 3 applets i proposed ? quick-note , weathershow and kangaroo ? I'm talking only about those, because i'm not packaging the all applets in the tarball. Jacalz reopened T7121: Request for fluid-soundfont as "In Progress". Jacalz added a revision to T7121: Request for fluid-soundfont: D6056: Initial inclusion of fluid-soundfont, fixes T7121. JoshStrobl changed the status of T6033: Gnome Fractal from Wontfix to Locked. JoshStrobl added a comment to T6033: Gnome Fractal. This is going to be permanently rejected. It requires libhandy, which is not only a library with a currently unstable API/ABI, but entirely oriented towards mobile UX. I find it entirely unacceptable to start requiring mobile UX libraries for desktop applications, or applications which in our case will only be used in a laptop / desktop environment. JoshStrobl closed T6870: GNOME Podcasts as Wontfix. This isn't going to land. It requires libhandy, which is not only a library with a currently unstable API/ABI, but entirely oriented towards mobile UX. I find it entirely unacceptable to start requiring mobile UX libraries for desktop applications, or applications which in our case will only be used in a laptop / desktop environment. JoshStrobl merged T7873: Sweet Home 3D into T4234: Reequest for a New Package: Sweet Home 3D . JoshStrobl merged task T7873: Sweet Home 3D into T4234: Reequest for a New Package: Sweet Home 3D . watpi added a comment to T7873: Sweet Home 3D. mdgedam added a comment to T7873: Sweet Home 3D. mdgedam claimed T7873: Sweet Home 3D. mdgedam created T7873: Sweet Home 3D. JoshStrobl added a comment to T7866: wine-nine-standalone. Yea it's a sad frustrating that the d3d9 patches haven't been updated yet, but I appreciate the fact we've been able to use them for as long as we have. I think we need to look into the best way of supporting both wine proper and any active d3d9 / gallium nine-based wine forks, or alternatively do away with the concept of officially supported D3D9-based WINEs. Most of that aspect of the ecosystem is moving to DXVK+Proton, which I intend on officially supporting on the future, and there has been progress of having D39 support in DXVK to just translate those calls to Vulkan. JoshStrobl triaged T7868: Vorta as Normal priority. JoshStrobl moved T7871: Drawing from Backlog to Awaiting Package Upgrades on the Package Requests board. JoshStrobl triaged T7871: Drawing as Wishlist priority. Currently this task is more of a holder, until an official stable version comes out, but feel free to check it out (things are currently working great for me). JoshStrobl closed T7872: Package request: solid version of arc-gtk-theme as Wontfix. Lorenard created T7872: Package request: solid version of arc-gtk-theme. kdeleteme added a comment to T7857: Ubuntu Budgie Extras - Applets. Tzigamm added a comment to T7857: Ubuntu Budgie Extras - Applets. I may remember that someone said at some point that python addons wouldn't be included in Solus and that they would need to be ported to be included, I'm probably wrong though, don't take my word for it !